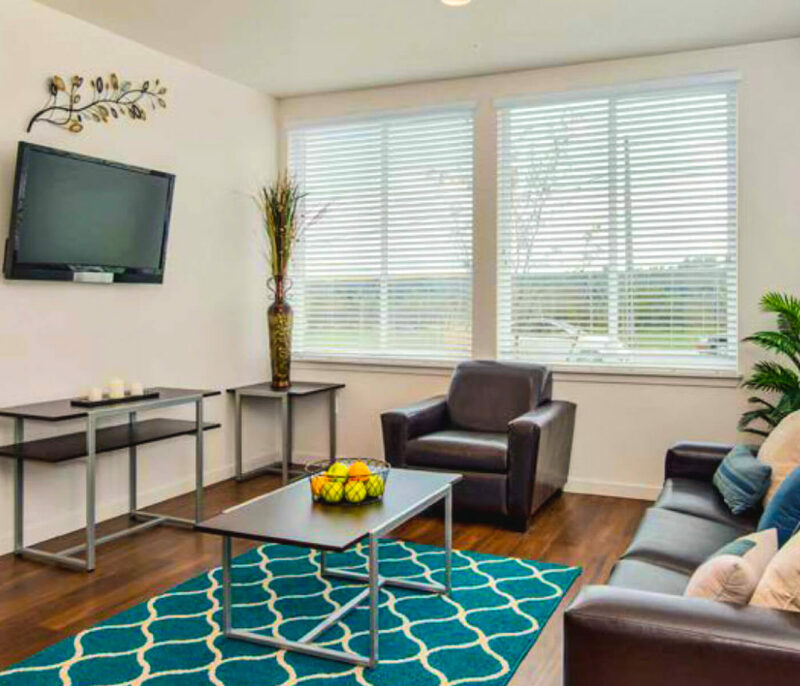 University Flats offers off-campus student housing apartments for UNC college students! 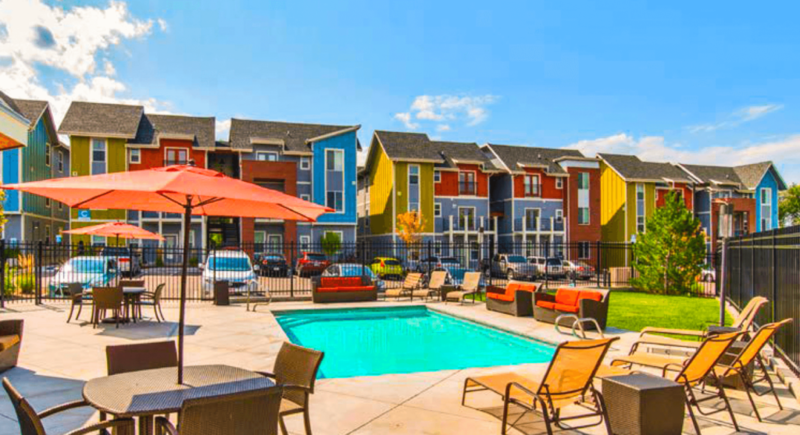 University Flats Student Housing Apartments at Greeley, CO offers brand new premium off-campus student housing apartments at affordable prices. 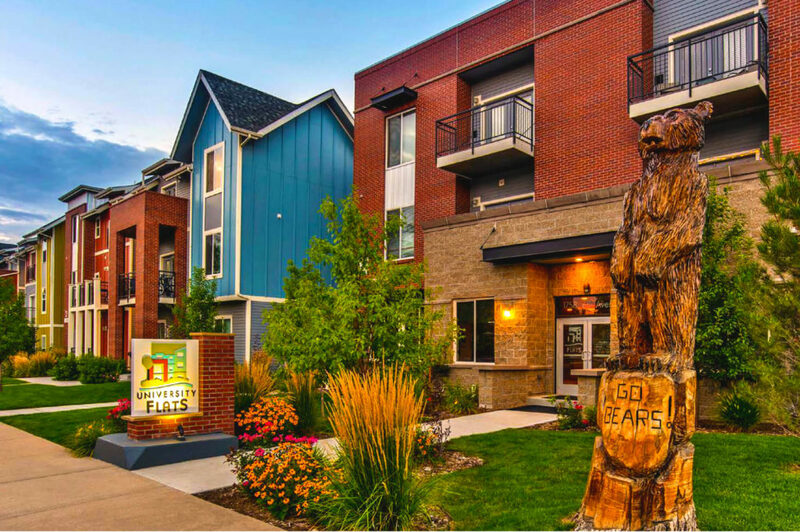 The two and three-bedroom apartment units are just two blocks from the University of Northern Colorado. 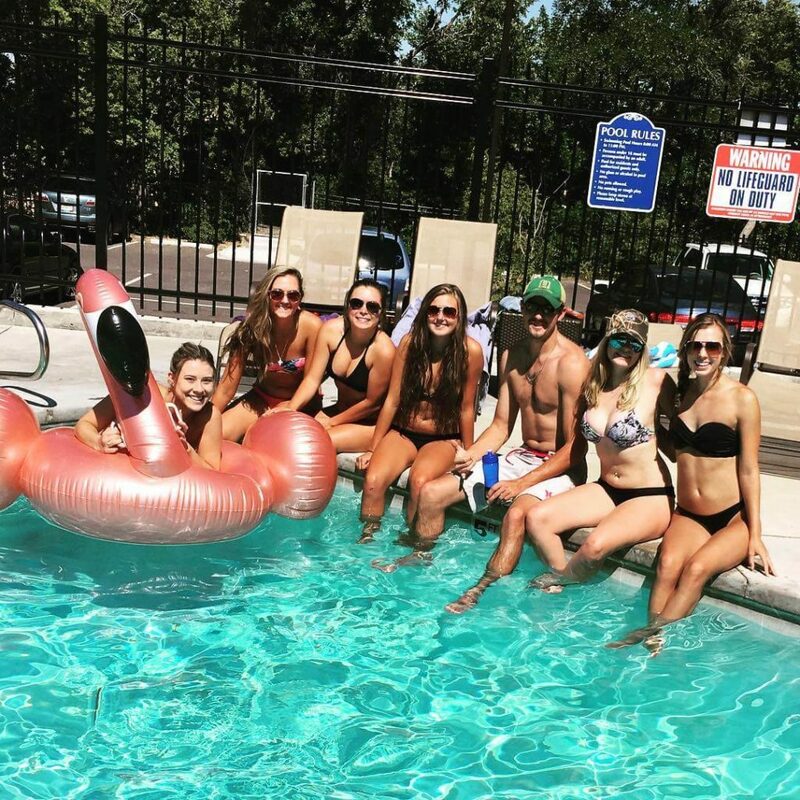 The upscale UNC student living apartment amenities at University Flats are unsurpassed, including private bedrooms and baths, clubhouse, fitness center, swimming pool, community events and much, much more! 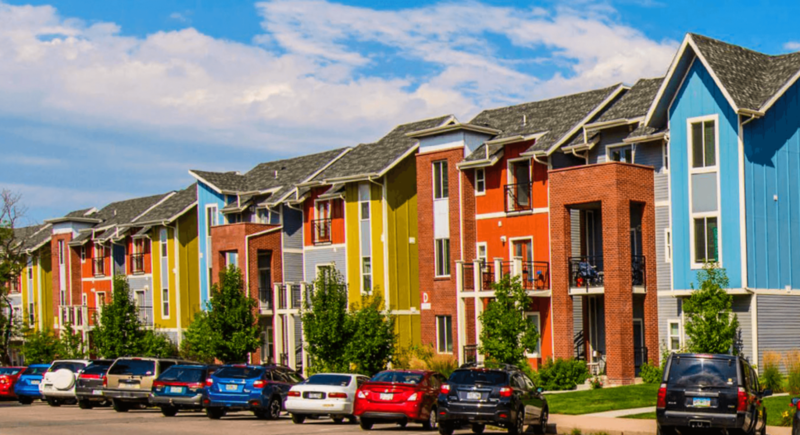 To reserve your student housing apartment, fill out an application online or call us at (303) 815-8877! The student living spaces at University Flats Student Housing apartments are specifically designed with comfort and convenience in mind for college students, and are stylishly appointed with the kind of premium materials and finishes you won’t find in any other UNC apartments for rent in Greeley, CO.
We have a trained staff at University Flats Greeley dedicated to making your student years here to be fun, safe and productive. 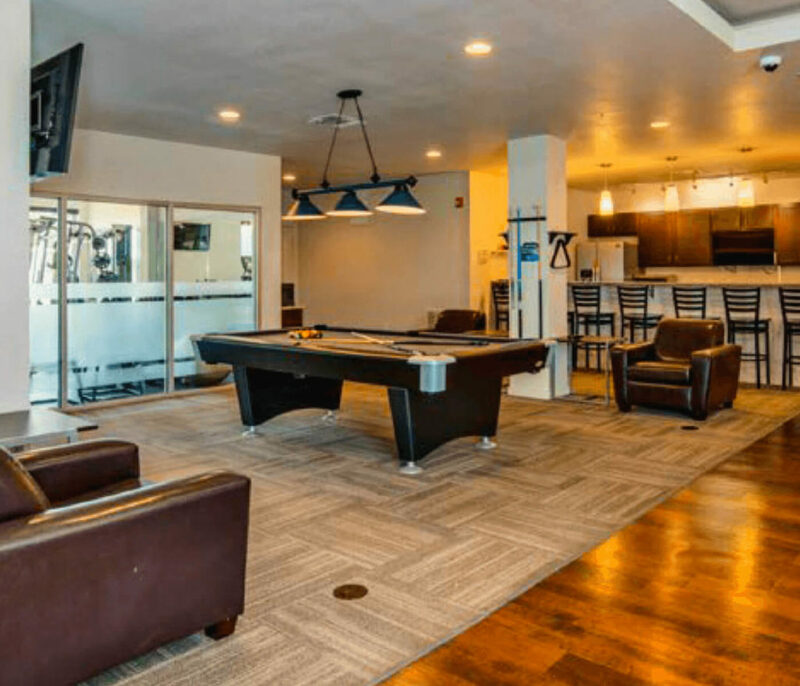 Discover some of the amenities at University Flats Off-Campus Apartments at Greeley that will make your years here a memory to treasure! 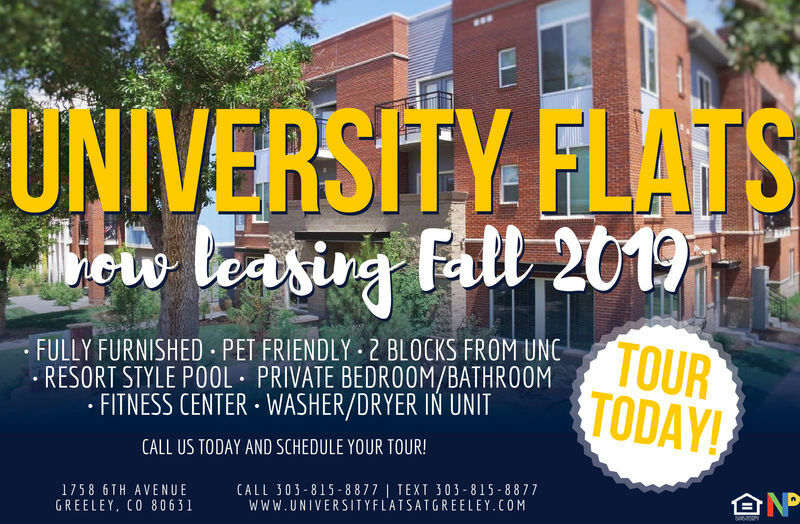 The new two and three bedroom apartments at University Flats Greeley feature granite counter tops, private bathrooms, basic cable TV, wireless high speed Internet access and free parking. 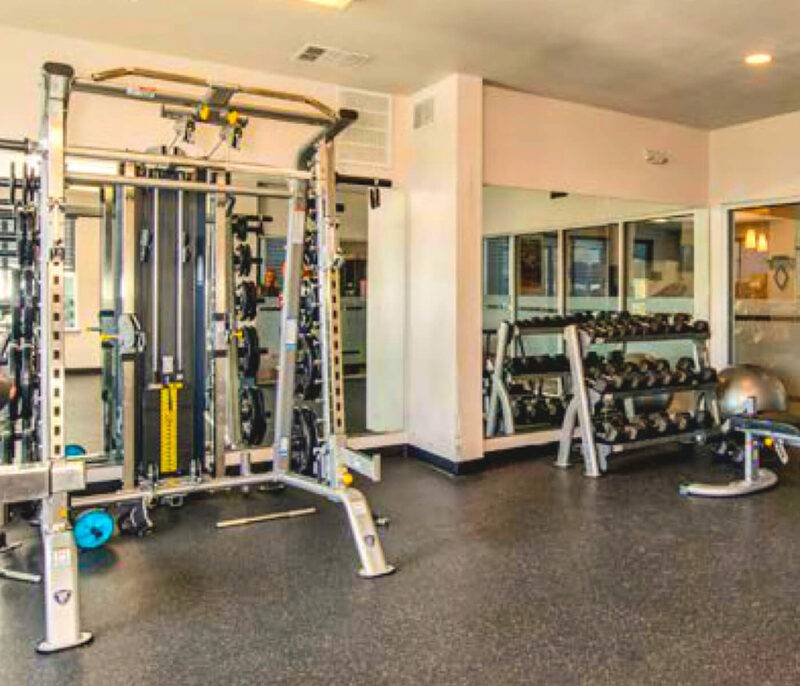 As a resident of University Flats, you will also have access to the clubhouse, fitness center and swimming pool. 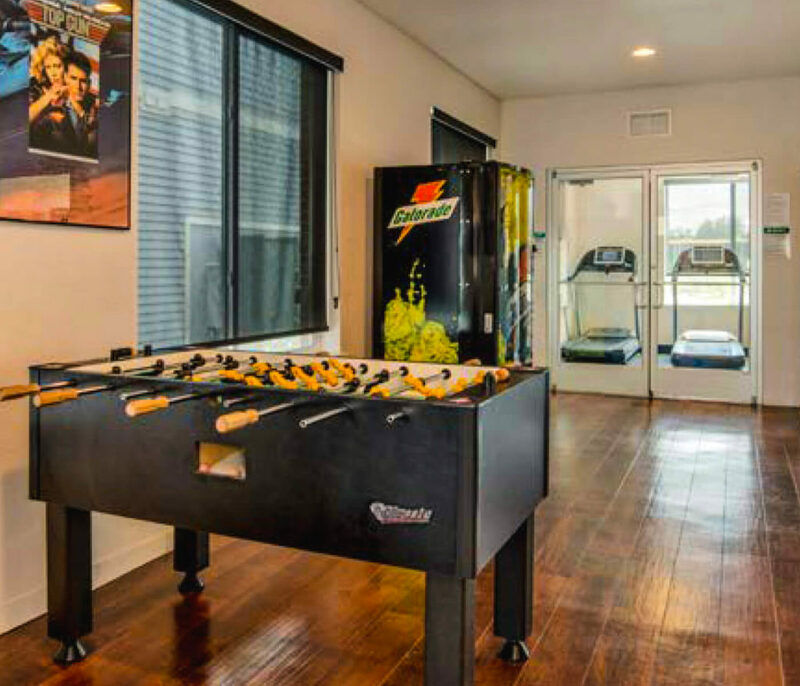 Furnishings in each apartment include a bed, dresser, desk and chairs in each bedroom, as well as dining room and living room furniture. 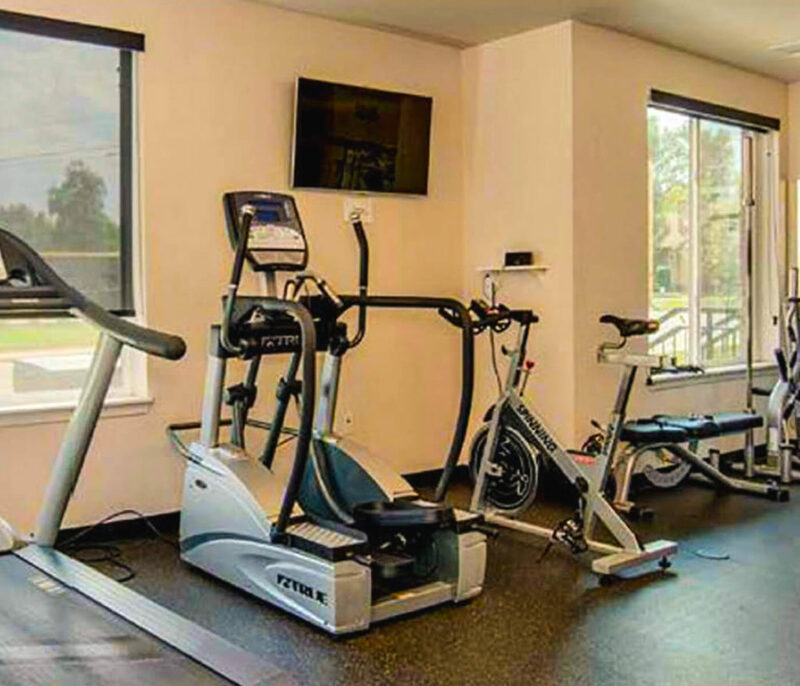 Free access to all these great amenities is included in your low monthly rent. 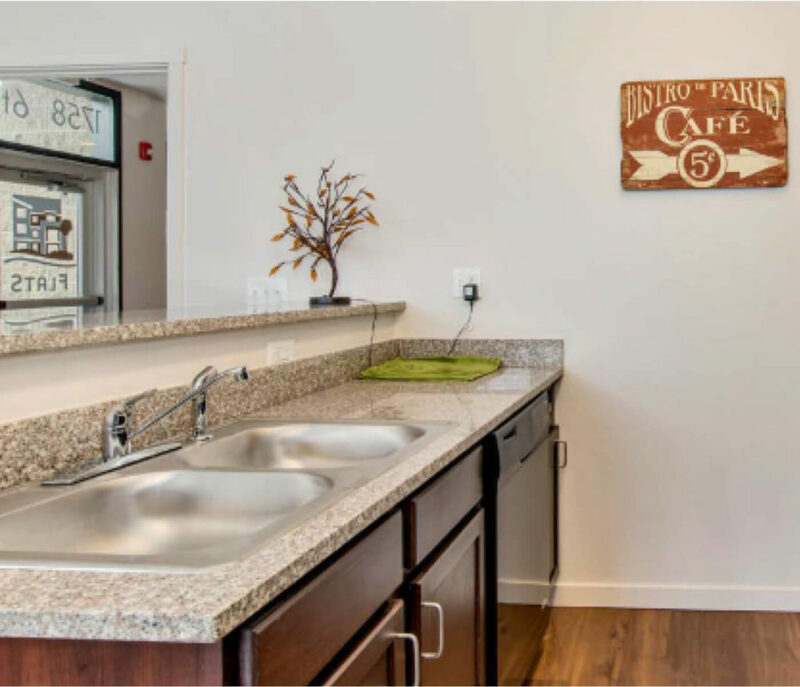 Read more about the great interior and community amenitites at these UNC apartments. 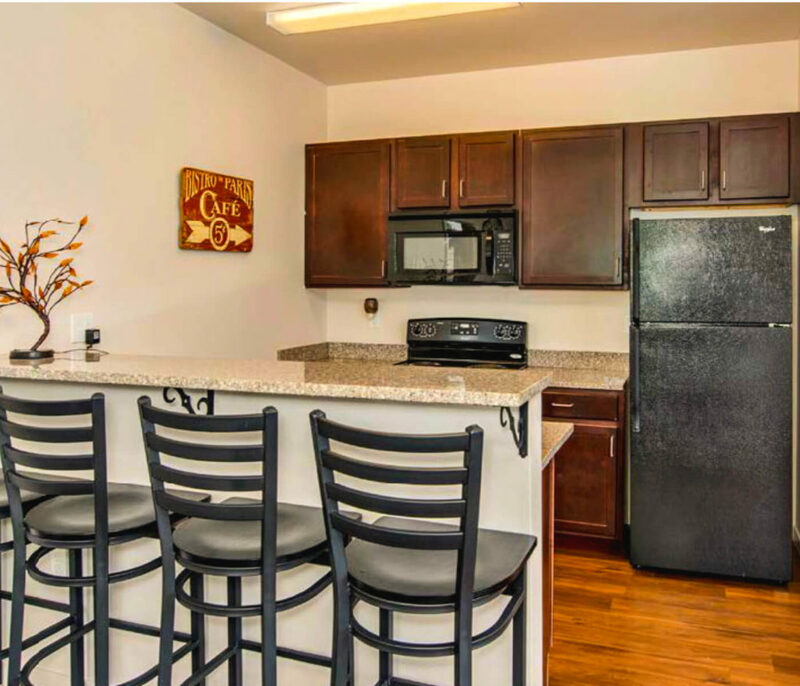 Come take a look at our spacious floor plans and it's easy to see how University Flats is different from other apartments for rent here in Greeley, Colorado. 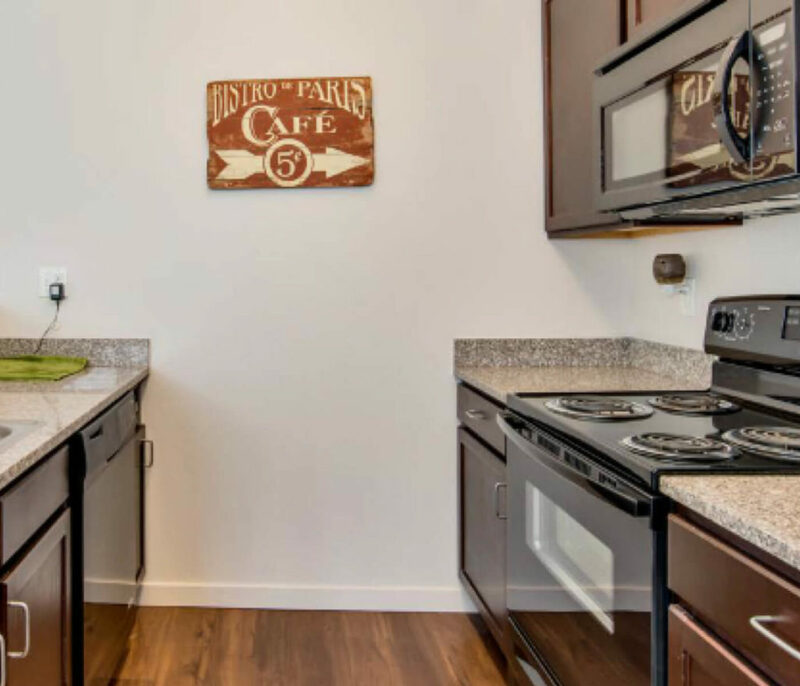 Floor plans designed with you in mind. 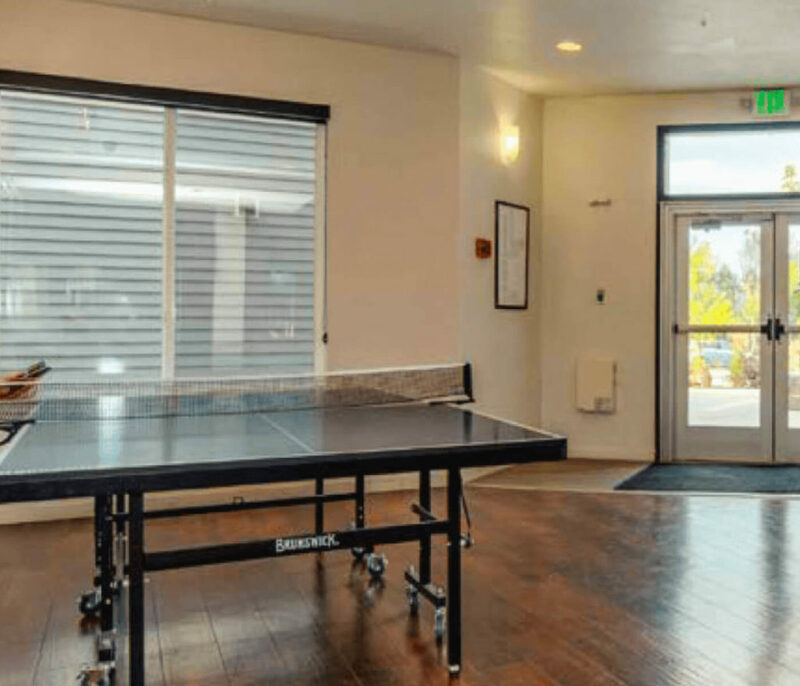 We offer spacious 2 & 3 bedroom floor plans for everyone’s personal comfort & taste to entertain and socialize when you want — and plenty of privacy when you don't. 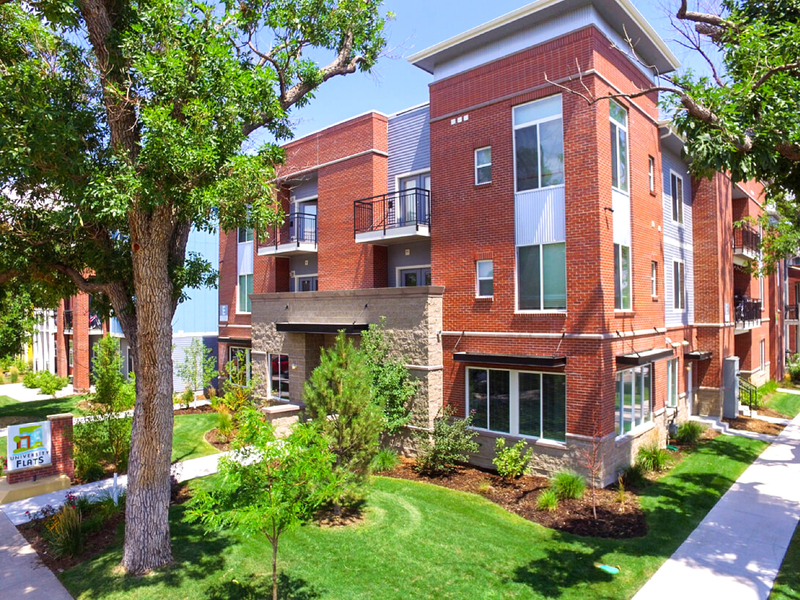 Click the button below to begin the application process or schedule your personal tour with us. 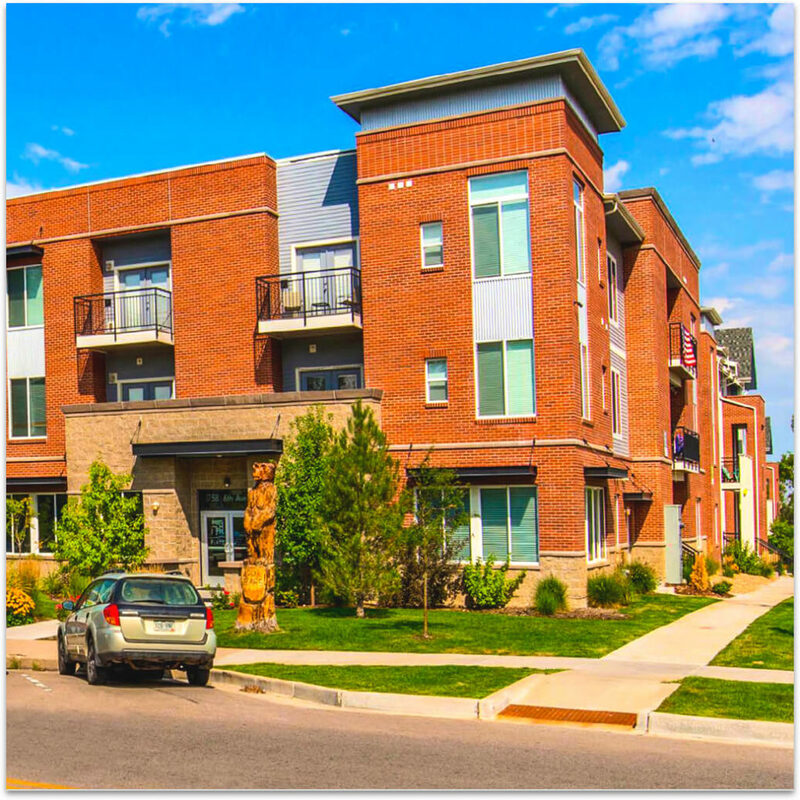 University Flats Student Housing Apartments at Greeley is within walking distance to the University of Northern Colorado (UNC). 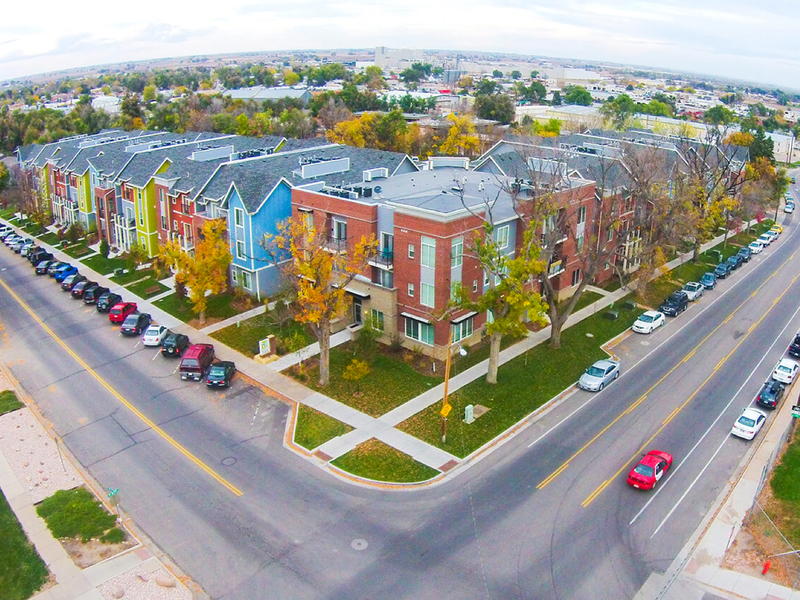 Since we are only two blocks away, you can walk, bike or drive to class. 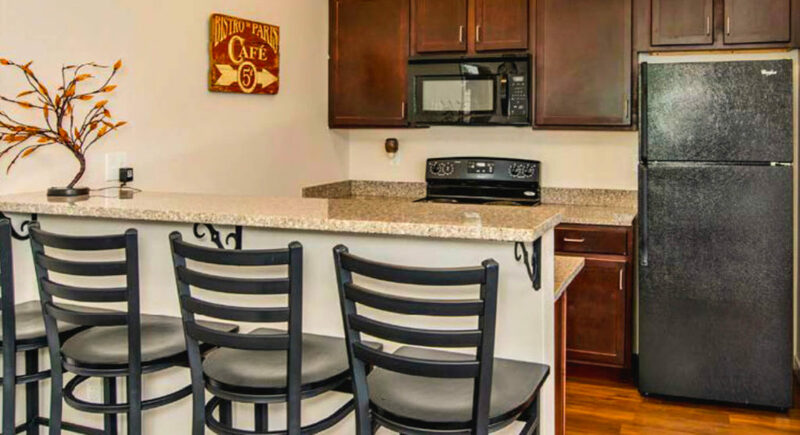 University Flats Student Housing also overlooks UNC’s baseball field and Jackson Field Stadium, lending a park like feel to our location. 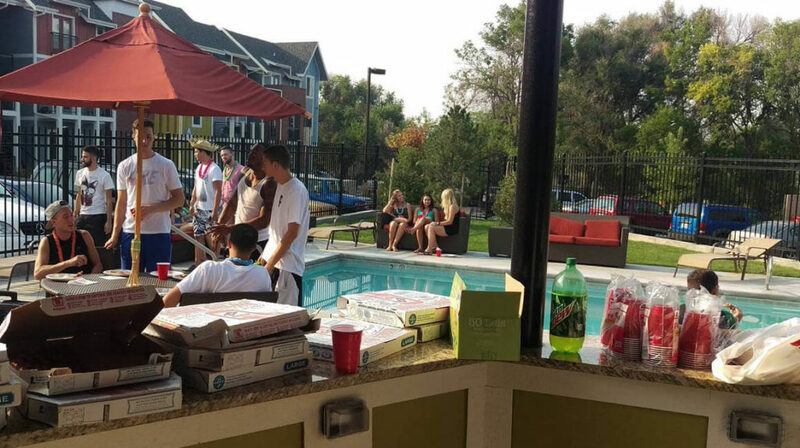 To help fuel your studies, great restaurants such as Chipotle, Cheba Hut and Blackjack Pizza are only minutes away. Walk to campus in less than 10 minutes. Ride your bike to campus in 5 minutes. Have your own car? Free parking available. 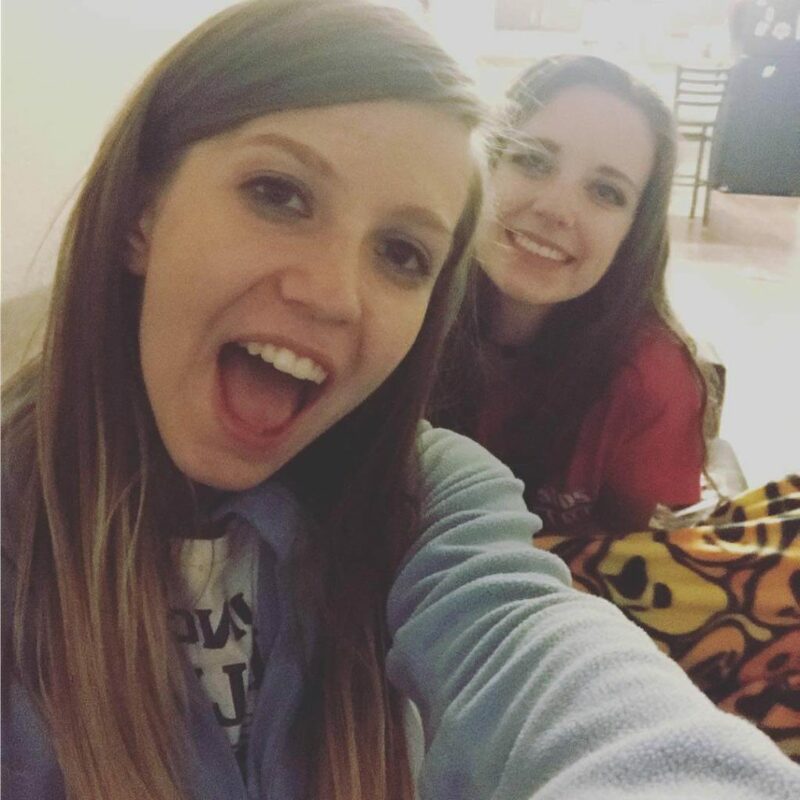 We're Within Walking Distance of UNC. Rent is due the 1st of the month every month. 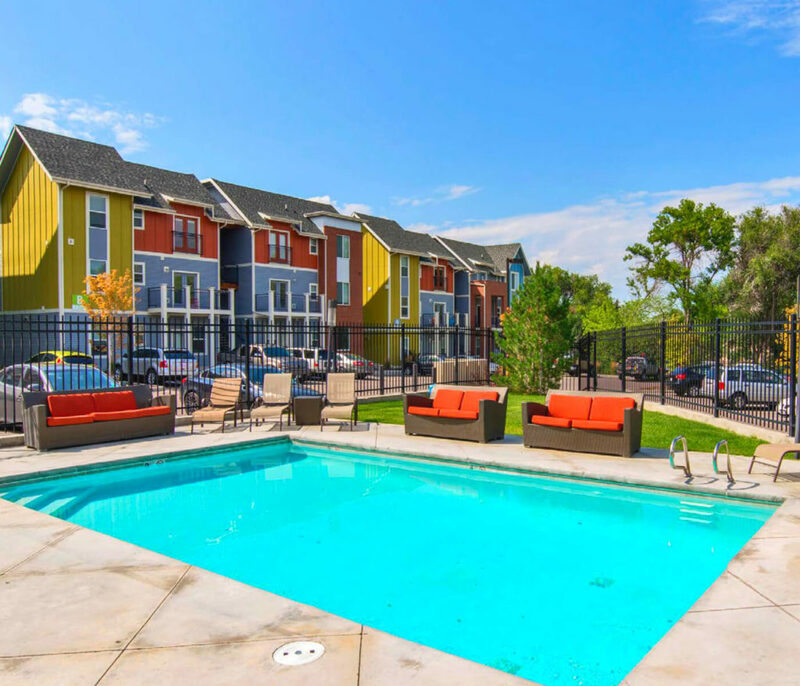 Rent Payments and Late Fees? Your payment schedule is detailed in your lease. If you are on a month-to-month payment schedule, your payment is due on the 1st of every month. If your payment is received late or incomplete, a late fee of $100 is assessed. We take checks, money orders or by credit card through our website. Just use the pay tab in main navigation. 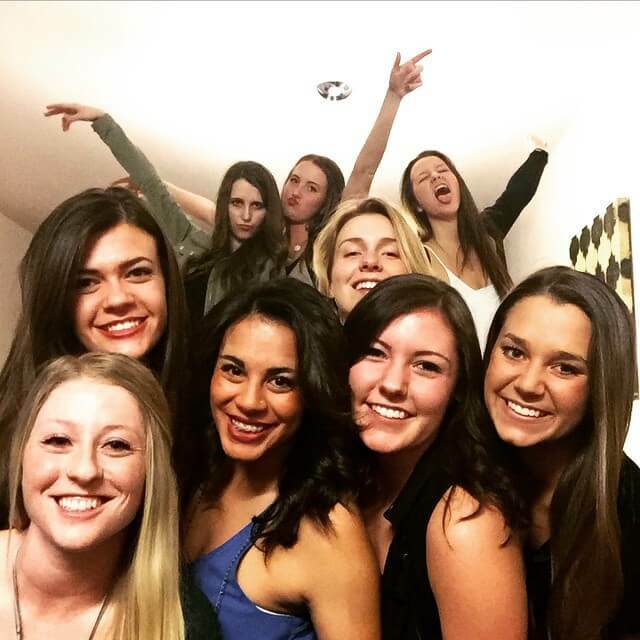 Is University Flats Greeley Ever Closed? 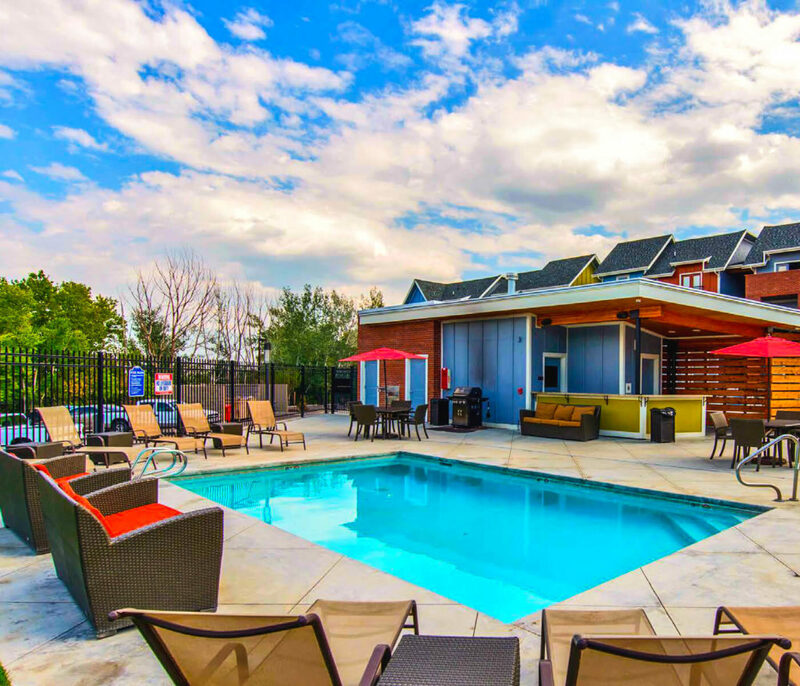 Is University Flats Greeley closed during semester breaks, spring break, or summer vacation? 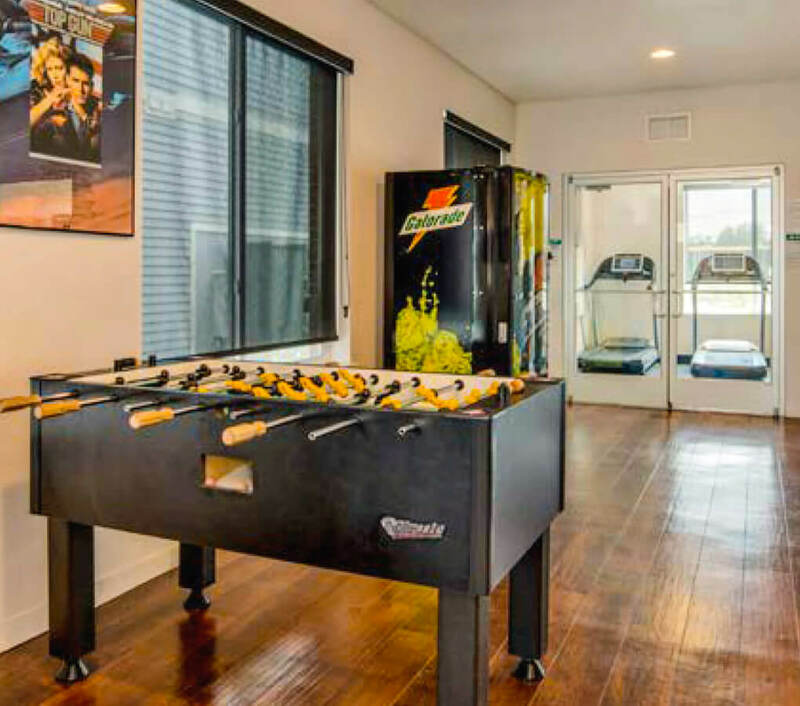 No, as long as your Lease covers the time frame in question. 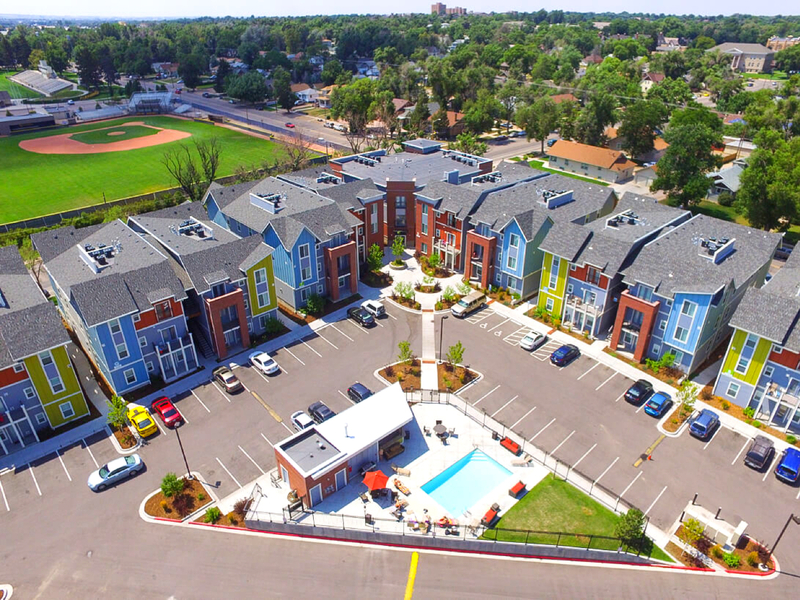 University Flats Greeley are open year round to residents. 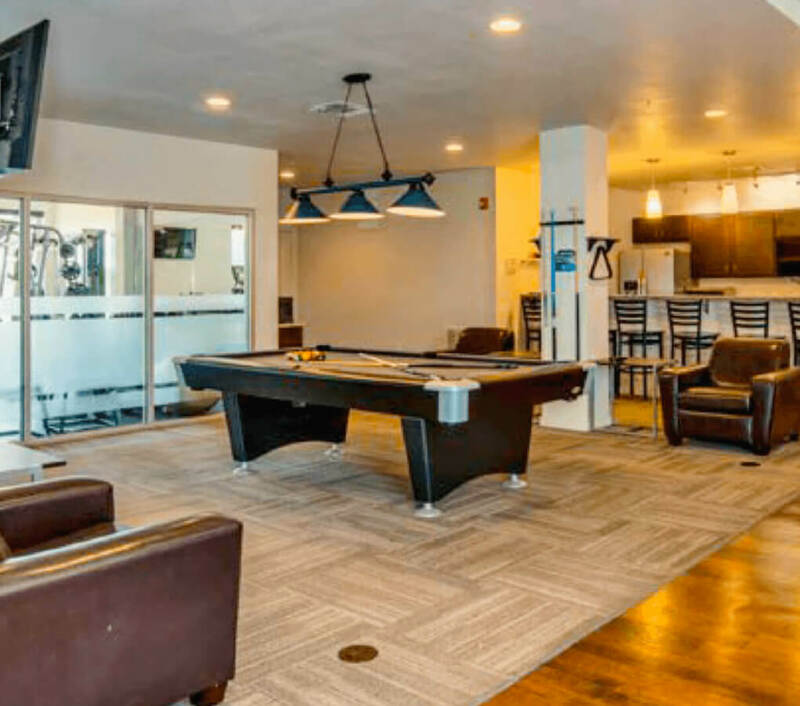 University Flats Greeley offers a variety of programs and activities each month for residents to socialize and have some fun. These events are advertised throughout the building on posters, signs, newsletters and flyers, and Facebook. 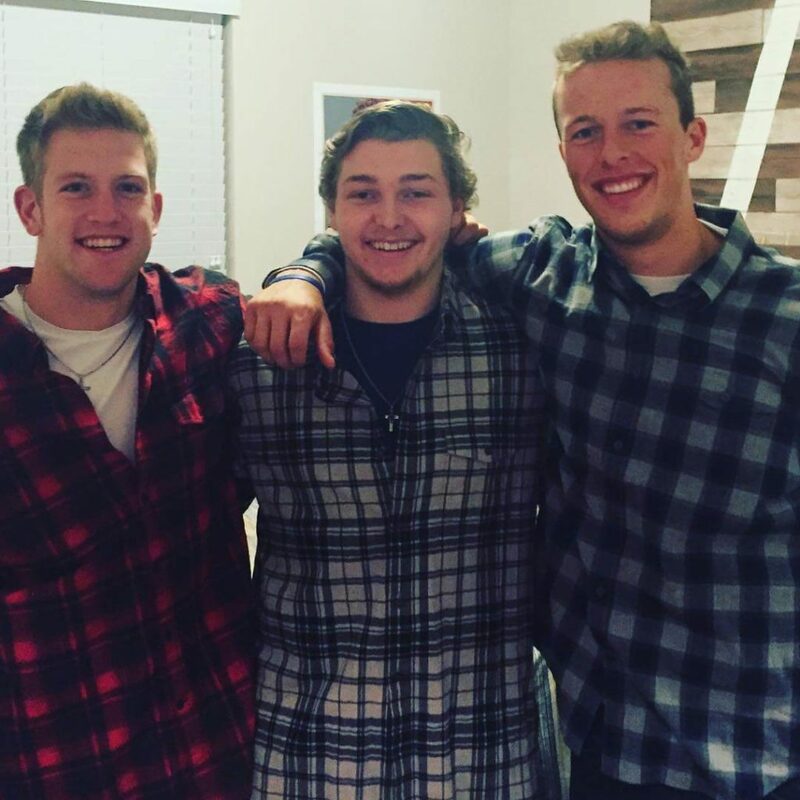 Additionally, our resident Community Assistant is an excellent resource for information and events both on campus and within the University Flats Greeley community. 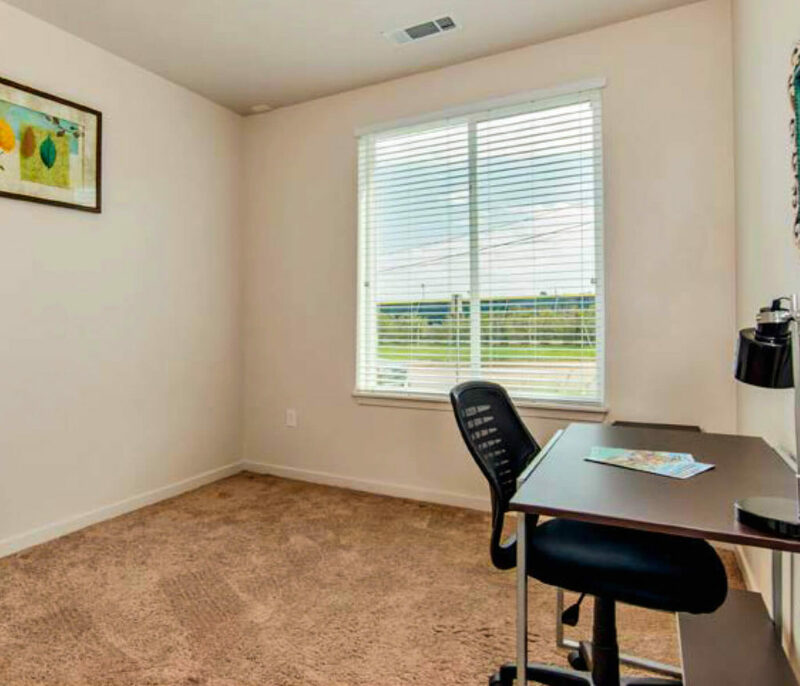 Unfortunately, we do not offer family housing. 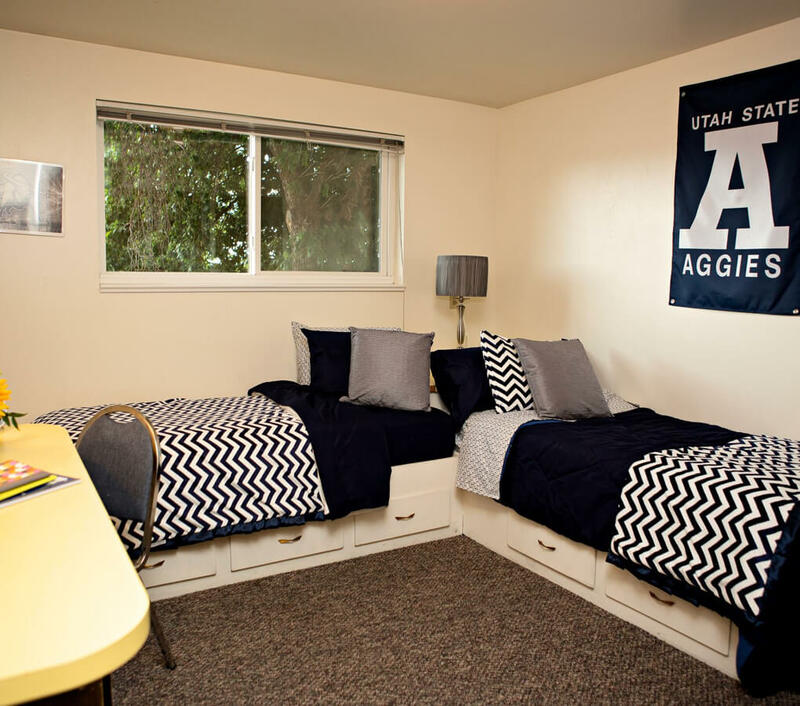 The requirement for housing is that each resident be at least a part time college student. 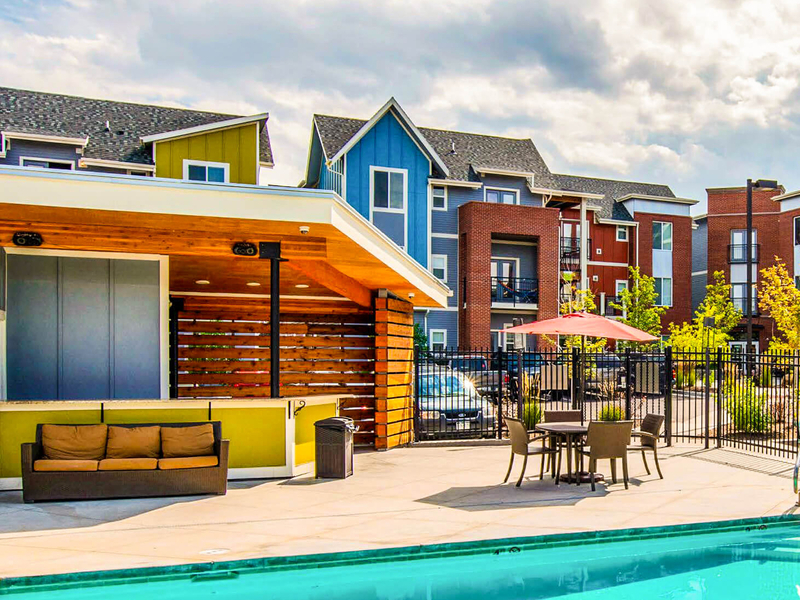 Unfortunately for our furry friends, University Flats Greeley is a pet free environment.